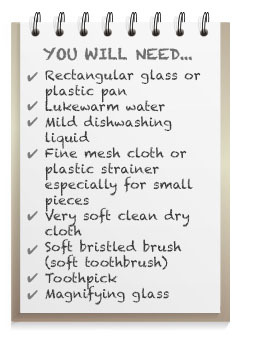 Wondering what to clean your jewelry with that you already have at home? Remedies for the best jewelry cleaner do not include elaborate ingredients, but rather simple household items like dish detergent that are easily accessible. When used according to instruction, homemade jewelry cleaner will not harm your beloved gold, silver or diamond pieces. 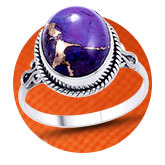 • Avoid rough handling with all gemstones and organic substances. • Store jewelry items separately from one another to avoid scratching. 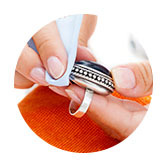 • Do not use ultrasonic cleaning devices to clean jewelry. 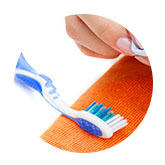 • Keep away from solvents – including harsher dishwashing solutions – chemicals and heat. • When participating in sports or outdoor activities such as gardening, hiking or sunbathing, remember to protect your jewelry. • Lotion, hairspray and makeup may also cause discoloration of jewelry. When applying these items, wait until they have dried before donning your jewelry. Use a magnifying glass to check that the settings and that stones are secure. Dirt and residue can disguise loose settings. Use the toothpick to apply gentle pressure to the stone to see if it moves. Prongs should be checked as well, by making sure that they securely hold the stone in place. Create a simple natural jewelry cleaner by mixing one quart of lukewarm water with one tablespoon of mild dishwashing liquid. Mix enough cleaning solution to cover your jewelry. For smaller pieces and loose stones, place the items in a strainer before putting them in the bowl. After allowing your jewelry to soak in a clean glass bowl for 15 minutes or more, use a soft toothbrush to remove residue. If needed, use a toothpick to dislodge any dirt or sediment from the crevices of your rings, earrings, bracelets, and necklaces. Rinse with cold water. Dry jewelry thoroughly with soft cloth. Place jewelry on a clean towel to fully air-dry. Shop LC can help you with all of your jewelry needs - from learning about the different stones and settings to finding and purchasing beautiful, unique pieces to caring and wearing your treasured jewels.